Gouves Heraklion is located 18 km east of Heraklion city, close to Gournes. It is a large area which is separated into two villages, the seaside village called Kato Gouves and the traditional village Ano Gouves, which is built next to the mountain Ederi at a height slightly more than 300 m, offering a fantastic view. The name “Gouves” is mostly used to refer to Kato Gouves. This place is neither a village nor a town; it is a residential area which was developed because of tourism. It has a main road that starts from the old Highway connecting Heraklion and Hersonissos and extends to the coastal side of Gouves. On the left and right side of the road there are many hotels, apartments and villas in a large extent among the fields. On the main road, you will also find taverns and restaurants with local dishes as well as two Chinese restaurants, bars and cafes, souvenir shops and clothing stores. There are also super markets, rental car and motorbike offices, a pharmacy, a medical center and a mini golf. Along the coastline of Gouves Heraklion, there are many notable beaches which will satisfy even the most demanding visitors. The rocky areas offer privacy, while the long sandy beaches have all the essential facilities .They have calm waters because of the artificial breakwaters which have been built in the area. Asteras beach is considered as one of the best in the area. Generally, the beaches in the center of Gouves are busy and the umbrellas cover every inch of sand. It is good to remember that the beaches in Gouves are open to the North, so the summer winds may raise waves. In that case, you could visit the small beach in the cove west of the marina. Gouves is near to other beach resorts, like Kokkini Hani, Gournes, Analipsi, Anissaras, Hersonissos, so your choices are boundless. You can find water sports facilities, such as water skiing, canoeing, parachuting, etc. and a diving center. You can also visit the small littoral church of Agios Konstantinos and Agia Eleni located in the spinney with the pines. One of your first choices to visit must be the mountain Ederi. In addition to the outstanding view, you will also see the big “ears” of the radars that are abandoned for many years now. That’s why the locals call it “the Mountain of Mickey Mouse”. 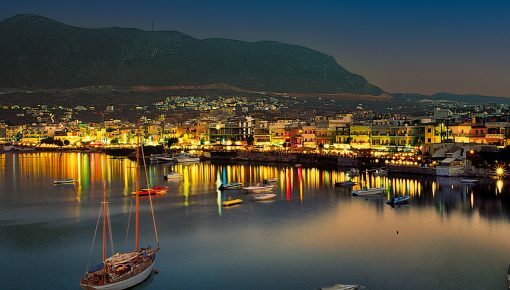 The old villages Pano Gouves with its small chapels, the traditional cafes and taverns, and the renovated traditional buildings, as well as Skotino village with the popular cave in are places that you should visit during your stay in Gouves Heraklion. If you prefer to stay near the beach and explore Gouves in Heraklion, then a holiday villa might be the best choice for you. 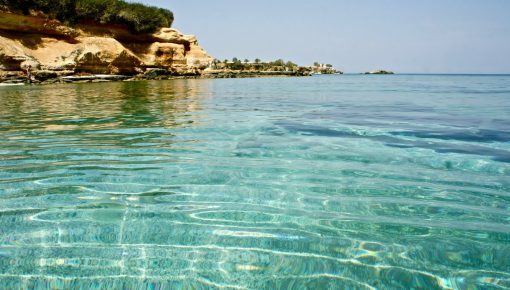 Stay tuned for more information about beaches, places to visit and accommodations in Crete. 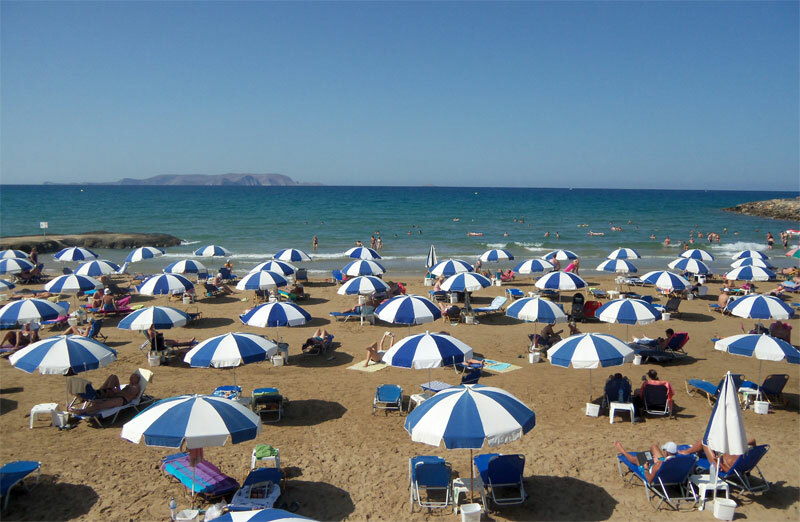 Posted on 13 Sep 2014 in Heraklion and tagged Beaches In Crete, Beaches In Heraklion, Hersonissos. 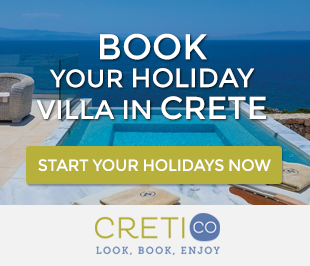 Crete Family Holidays, The Safest Holiday Destination For Your Family!